Many Chemistry students I know refer to Tyler Dewitt on YouTube so that could better grasp the Chemistry a little better. Please refer to his channel if you should have additional questions. I will only be posting some of the basics from my class. This is not meant to give detailed information. If I come across additional information, I will revise this post as needed. If you think I need to add something, feel free to drop me a note, so that I can check it out. Enjoy Chemistry. Everything is made up of it. Chemistry is the study of matter in regards to composition, properties, and transformations. 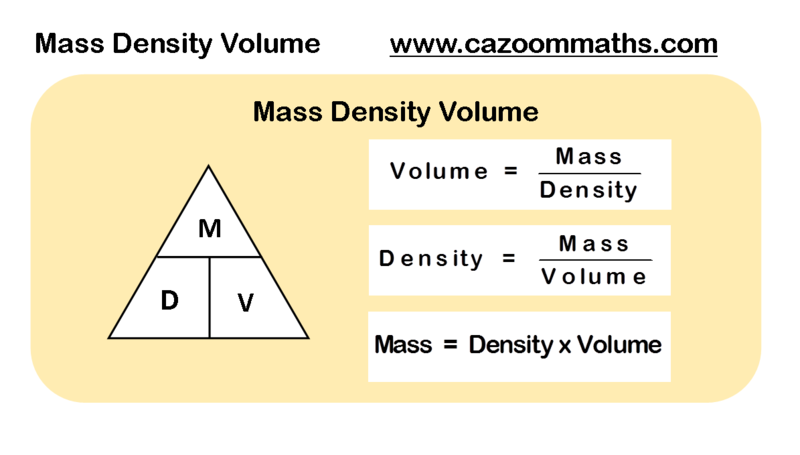 Matter has mass and volume. 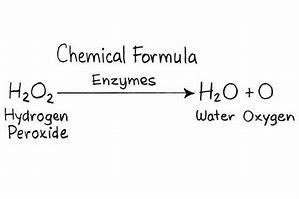 There are two types of which are discussed in basic chemistry (Naturally occurring and synthetic matter). Some types of naturally occurring matter are cotton, sand, and digoxin which is a cardiac drug. Synthetic matter is human-made which a few are nylon, Styrofoam, and ibuprofen. Matter can be a solid, liquid or gas. Solids have a definite volume, and maintains shape which the particles close together. But, liquids have a definite volume, but doesn’t maintain its shape. Generally the particles are close together and move around freely. Finally, gas has no shape or volume, and is able to fill the shape of whatever container it is in. Gas particles are free flowing and far apart. There are two different states of matter which are chemical and physical. Chemical properties are determined by a substance ability to be convert itself into another substance. Some various methods of chemical change are: reactivity, combustibility, flammability, rusting, corroding, and acidity. Eating of an apple is an example of metabolizing. On the other hand, physical properties are able to be observed or measured without changing the composition. Some methods of physical change are color, odor, phase, luster, shape, malleability, density, shape, solubility, and ductility. Water is a good example physical change because water is still water whether it’s frozen, liquid, or a gas. Matter can be classified as either a pure substance or a mixture. A pure substance is composed of a single component and cannot be broken down into other pure substances by a physical change. It has a definite and constant composition whether it an element or compound. Salt, sugar, and water are all examples of a pure substance which are compounds. A mixture is composed of more than one substance and can vary in composition. Once sugar and salt is dissolved in water, it is a mixture because it can be separated into its components by a physical change. Chicken noodle soup, kool aid, banana splits, and salt water are all mixtures. Can it be separated by a physical process? If yes, it is a mixture. If no, then it’s a pure substance. In order to decide whether pure substance is a compound or an element? If it can be broken down, then it is a compound. If not, then it is an element. From the reference page we know that 1 lb = approx. 2.21 kilos. Therefore, we will write work it as 20 lbs. X (1kg/2.21 lbs) = 9.0498 kg. We put pounds at the bottom, so that it can be cancelled out. Sometimes, you will you have come more than one unit. For example: converting miles to meters or hours to seconds. Convert each unit at a time. Word of warning: Watch your abbreviations. Notice how meters (m) and miles (mi) are very similar. Significant figures are all the digits in a measured number including one estimated digit. All nonzero digits are always significant. Nonzero digits are always significant. Any zeros between nonzeros are significant. A final zero or trailing zeros are only significant if there is a the decimal portion. When we are taking a temperature we are measuring how hot or cold an object is. 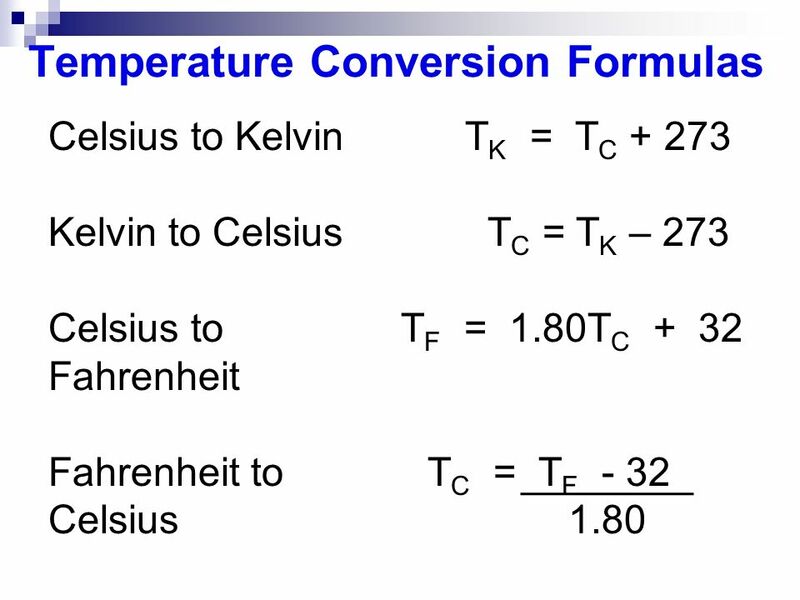 The three temperature scales which are used are degrees in Fahrenheit and Celsius, and Kelvin. 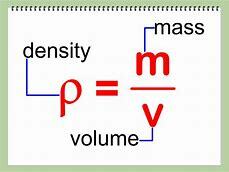 Density is a physical property that relates the mass of a substance to it volume. Mass is usually in g and volume is measured in mL or cc. Another visual way to remember the formula is to use the density triangle. Specific gravity is a quantity that compares the density of a substance with the density of water at the same temperature. The units of the numerator (g/mL) cancel the units of the denominator (g/mL). The specific gravity of a substance is equal to its density, but contains no units. There are 118 currently known elements. Ninety of which are naturally occurring and twenty eight which can be prepared by scientists in a lab. There are four non-elements which are the building blocks of life – nitrogen, carbon, hydrogen, and oxygen. These four elements comprise about 96% of the mass of the human body. Three of these elements are found in biological molecules of proteins, carbohydrates, lipids, and nucleic acids. They are carbon, hydrogen, and oxygen. Only proteins and nucleic acids include nitrogen. There are seven other elements which are called major minerals or macronutrients. We find sodium, potassium, and chlorine in bodily fluids. Magnesium and sulfur are found in proteins. While calcium and phosphorus are found in teeth and bones. Phosphorus is found in all nucleic acids, such as DNA. We need at least 100 mg of each macronutrient in our daily diet. Trace elements or microelements are usually less that 1 mg are needed for our diet. These micronutrients have specific purposes in our lives. For example, iron is needed for hemoglobin, zinc is needed for enzymes and iodine is needed for thyroid function. 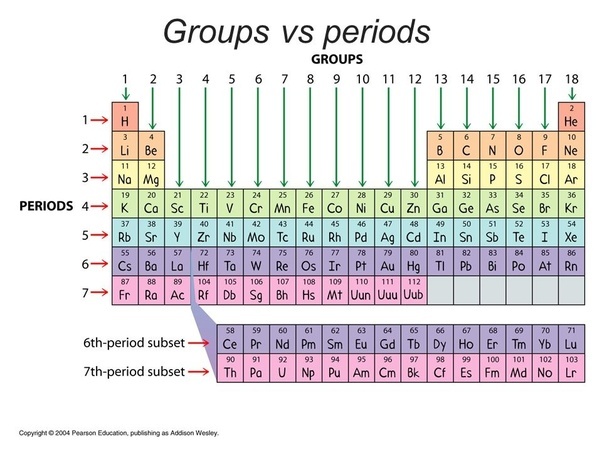 Below is the groups and periods found within the periodic table. In addition to groups and periods, the periodic table is divided by metals, nonmetals, and metalloids. Metals are usually exist as a shiny solid at room temperature and is a good conductor of both heat and electricity. The only metal which is not a solid at room temperature is mercury. 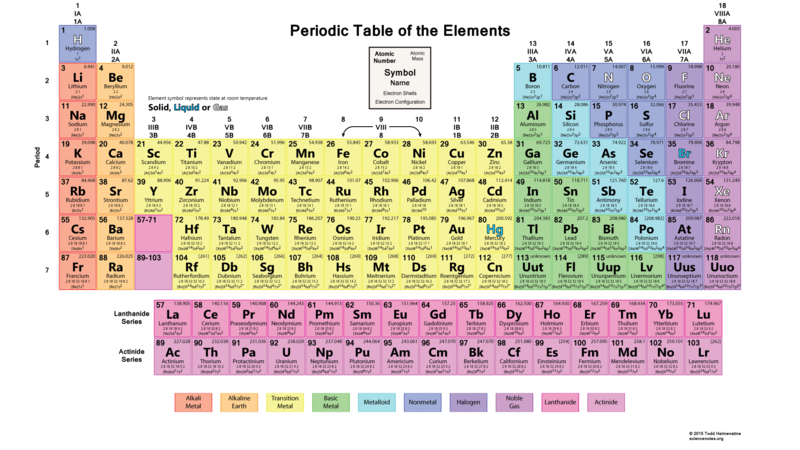 We find metals located on the left hand side of the periodic table. Nonmetals do not conduct heat or electricity well and are not shiny. We find them at room temperature can be a gas, a liquid, or solid. We find them on right hand side of the periodic table. Metalloids is comprised of seven elements which are boron, silicon, germanium, arsenic, antimony, tellurium and astatine. They have properties intermediate between metals, and nonmetals and are located diagonally on the right hand side of the periodic table from boron to astatine. A compound is a pure substance formed by combining two or more elements chemically. A chemical formula will consist of all element symbols which are used to create the compound plus a subscript which express the ratio of each element’s atoms. This is an example of a chemical formula. All matter is composed of atoms which are composed these three subatomic particles: protons, neutrons, and electrons. Inside the center of each atom, the proton and nucleus reside. While electrons are located within the electron cloud. The nucleus is a dense core of the atom where most of the mass exists. Both of the below pictures are examples of how atomic number can be written. Atomic number (Z) is the number of protons in the nucleus. 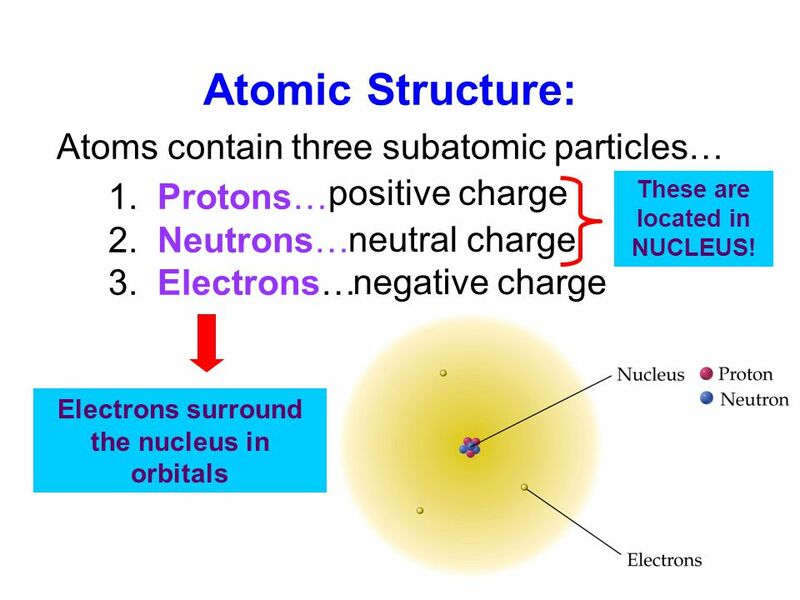 Every atom within a given atom has the same atomic number, same number of protons in the nucleus. But, each different element has its own atomic number. The mass number (A) is the number of protons and neutrons combined. Isotopes are atoms of the same element which have a different amount of neutrons. Isotopes are frequently used in medicine because it can be radioactive which allows it to be used for therapeutic and diagnostic purposes. The chemical properties will be the same. For example Iodine-23 and iodine 131 are used to diagnose and treat thyroid issues. The atomic weight is the weighted average of the masses of the naturally occurring isotopes of a particular element reported in atomic mass units. The periodic table is divided up into periods and groups. 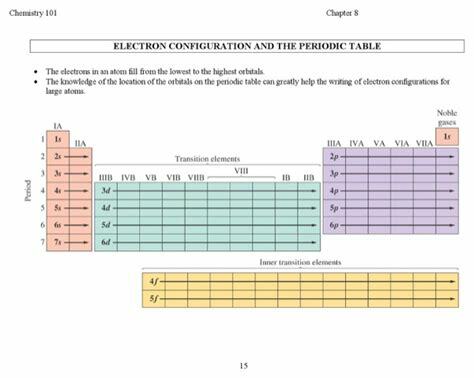 The main group elements consist of the first two columns on the far left and the six columns on the far right (1A-8A). 1A consists of Alkali metals. 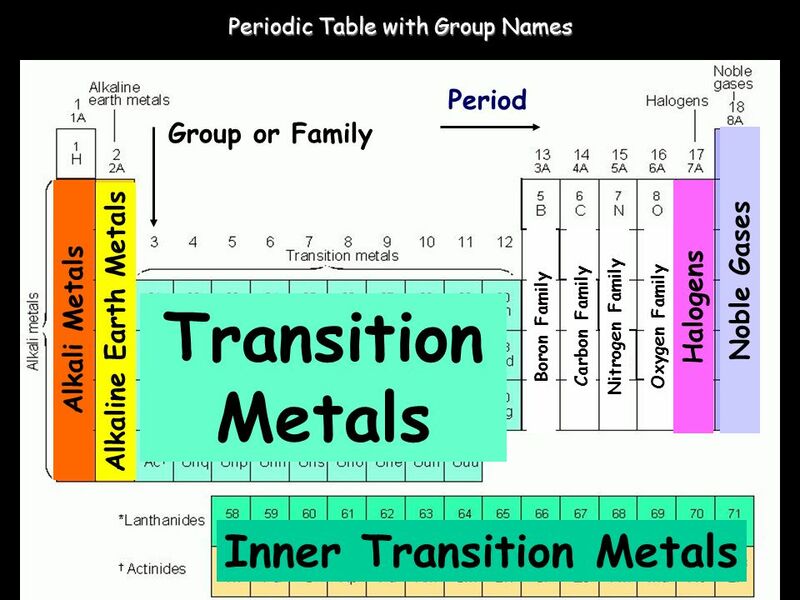 2A consists of Alkaline Earth Metals. Halogens can be found in 7A, while Noble gases are found within 8A. The transitional metal elements contained in the 10 short columns in the middle (1B-8B). The inner transition elements consist of the lanthanides and actinides. They do not have any group number assigned. The lanthanides and actinides are called Rare Earth Elements and are found in period 6. When one looks at the different elements within each group, one will find each element has similar chemical properties. Electrons occupy a specific space on each shell or energy level. As one can see above each level is named as a shell. The electrons in lower numbered shells are closer to the nucleus and have a lower energy level than the higher numbered shells. Shells with larger numbers are farther than the nucleus and contain a larger volume of electrons. The shells are identified by the letters s, p, d, and f. The s orbital has the lowest amount of energy while f has the highest level. 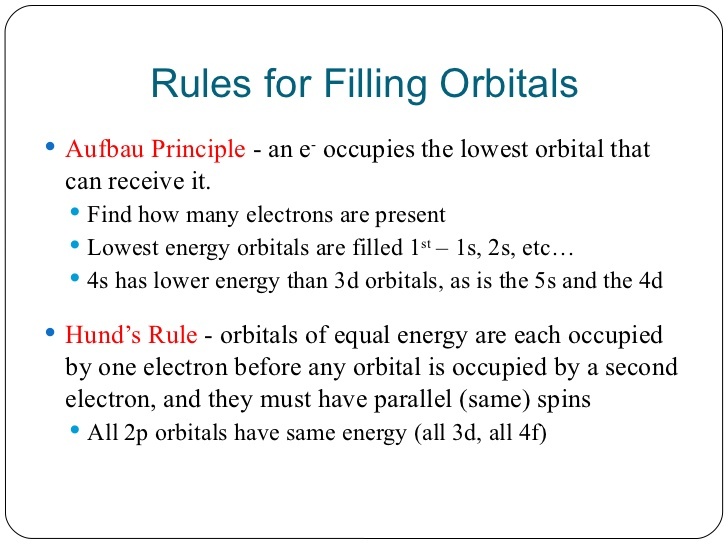 The subshells consist of orbitals which is an area within the subshell where there is greater chances of finding electrons. Orbitals can be divided up into orbital spaces. S orbital is spherical while the p orbital is dumbbell shape. The valence shell is the outermost shell with the electrons being called valence electrons. Elements in the same group have similar electron configuration and have the same number of valence electrons. 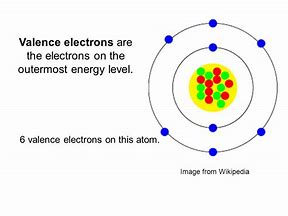 Helium has two valence electrons which makes it the only electron which the group number doesn’t equal the number of valence electrons. When using the electron-dot symbols the valence electron are positioned on all four sides of the element symbol. Each dot represents a valence electron. One dot fills each side before adding another to any sides. 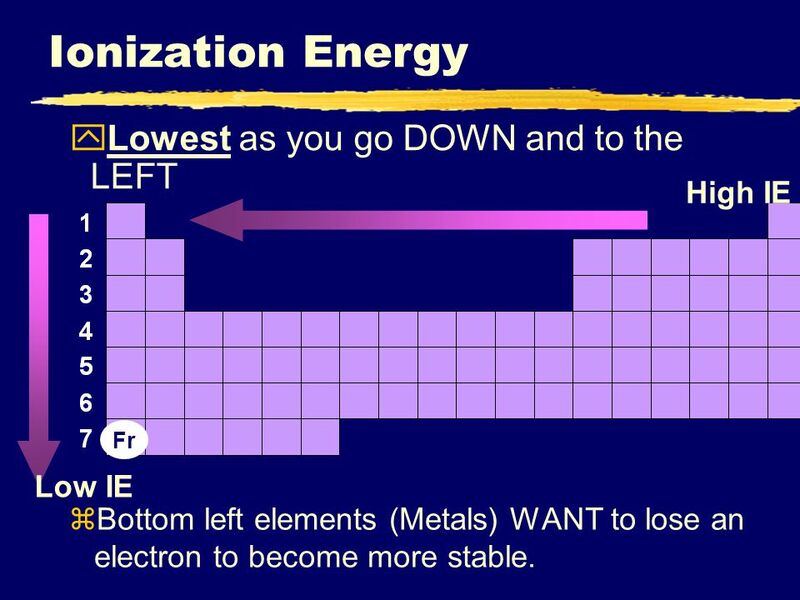 The ionization energy is the energy needed to remove an electron from a neutral atom. See picture below. 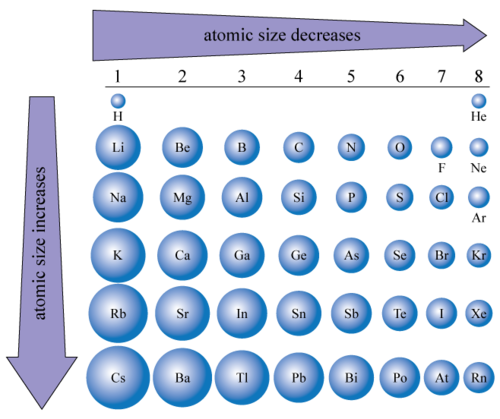 When one wants to which atoms have the larger atomic size, one will notice that the larger atomic size will be found in the bottom left hand corner of the periodic table. The kinetic-molecular theory of gases states that gases consists of particles, atoms, molecules which move randomly and randomly. Gas particles do not have forces which causes them to be attracted to each other, and the size of particles is small compared to the space. The kinetic energy increases with higher temperatures which causes the particles to move faster. When gas particles collide with each other, they respond much like a pinball machine. When gas particles collide with the walls of a container, they exert pressure. The equation to reference that pressure is Pressure=Force over Area or F/A. One atmosphere (atm) is equal to 760 mmHg, or 760 torr, or 14.7 psi, or 101,325 Pa (pascal).